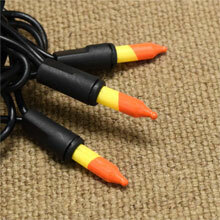 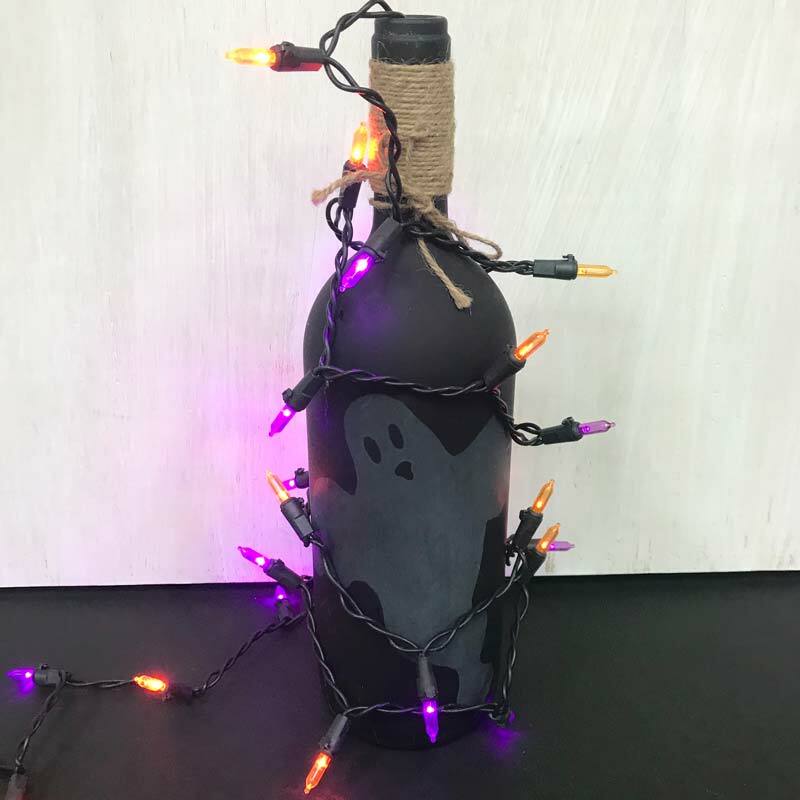 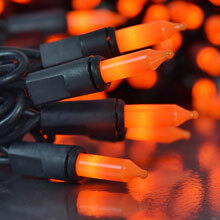 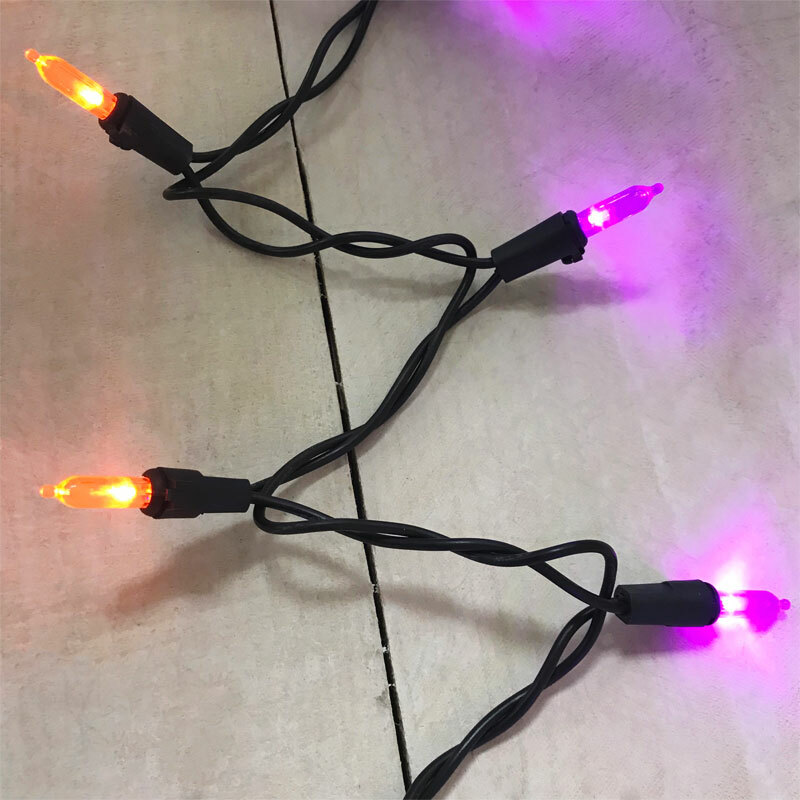 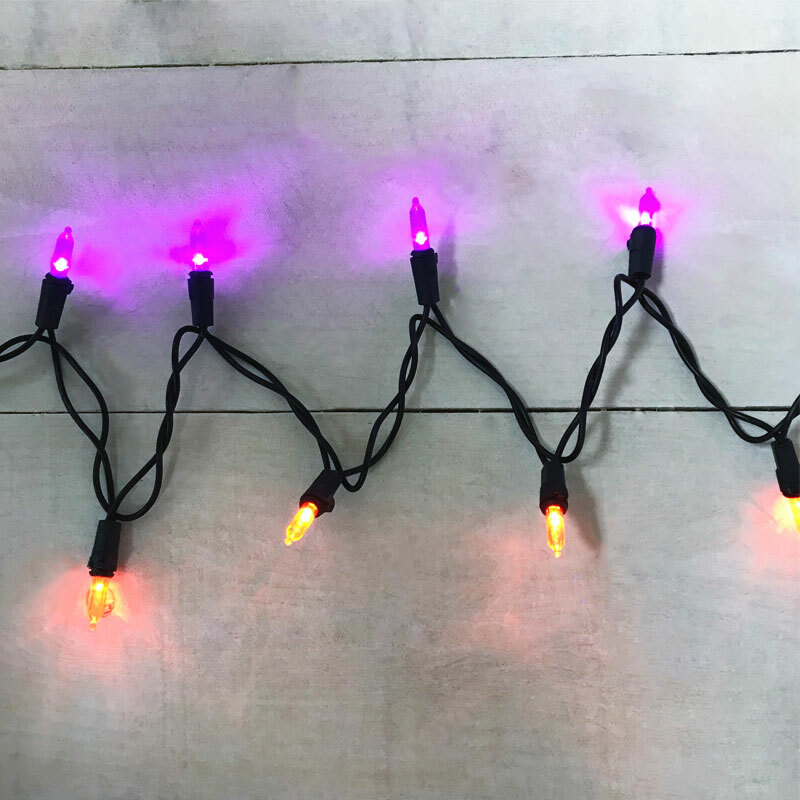 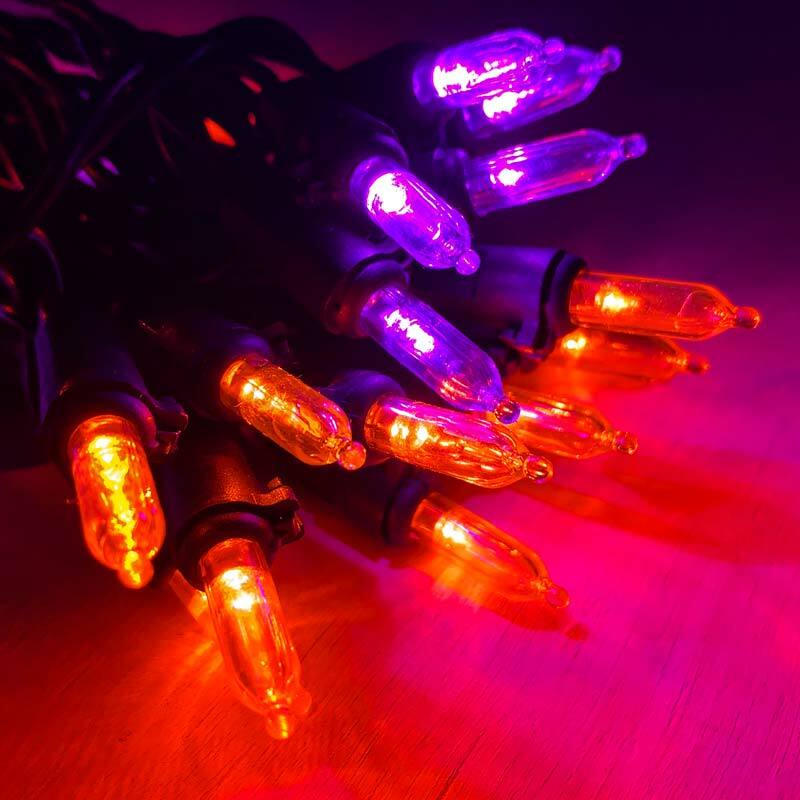 Accent your Halloween decorations with these purple and orange LED string lights. 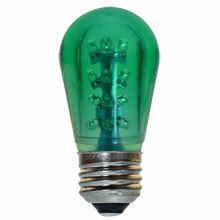 The durable LED light bulbs are cool to the touch when lit and are break, fade and chip resistant. 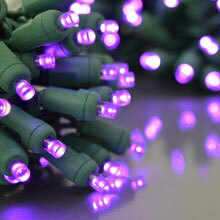 LED lights may save up to 90% in energy costs. 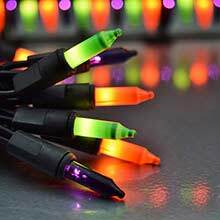 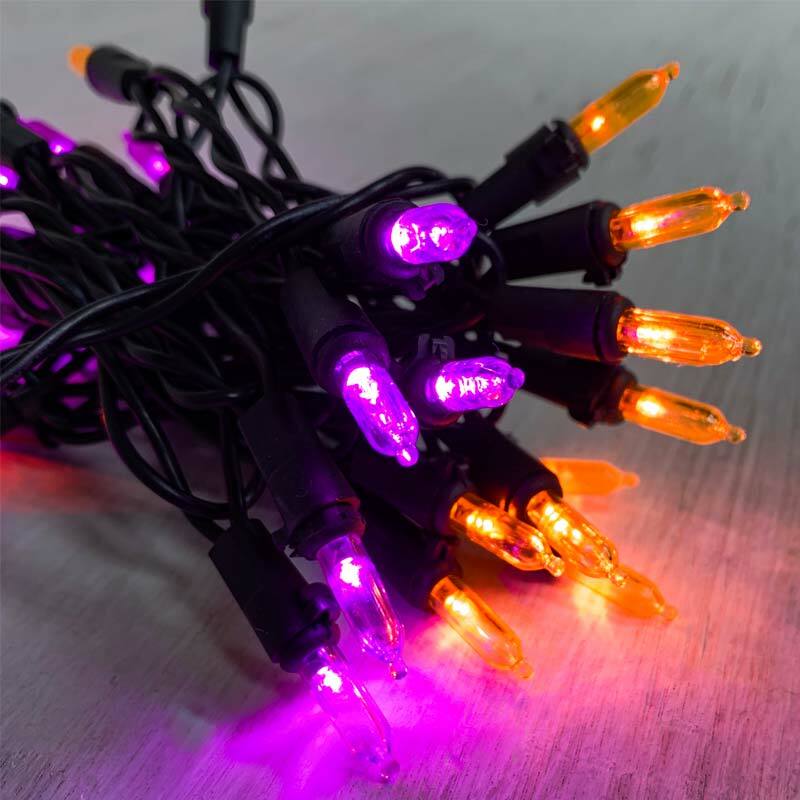 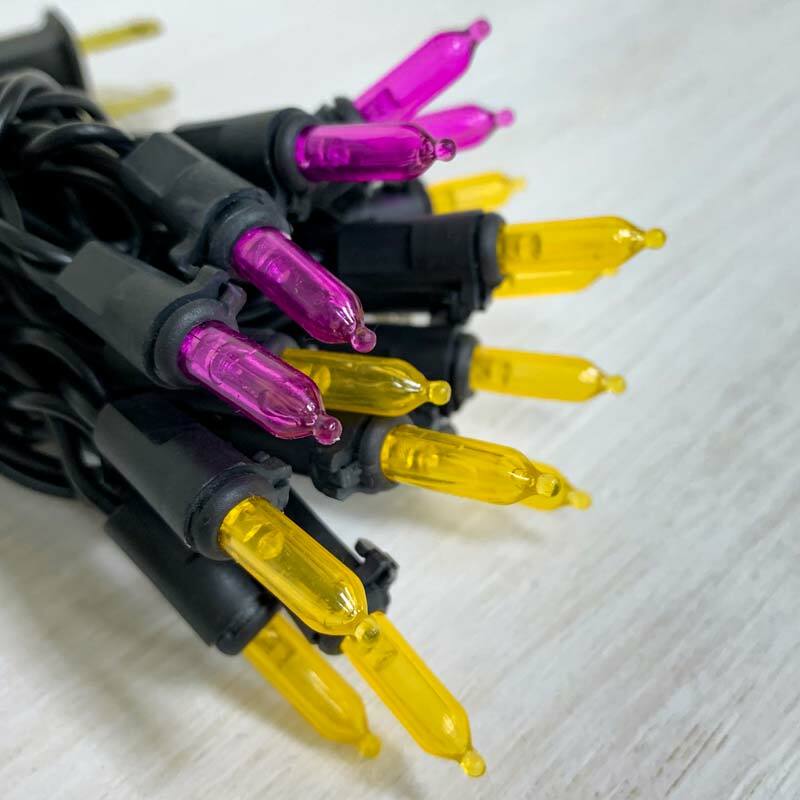 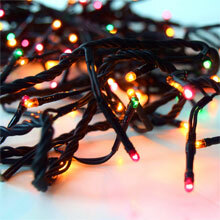 The LED miniature string light set features 15 purple and 15 orange LED lights on an 8.8 foot black wire.